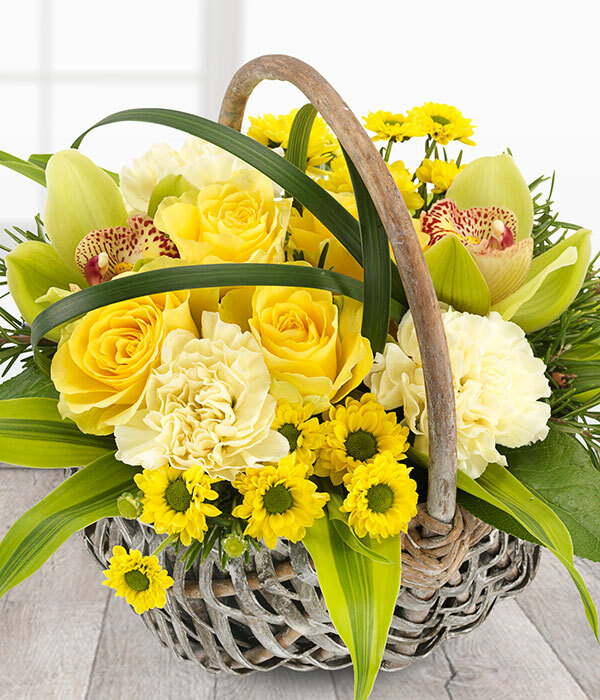 A bright yellow flower basket with a touch of the tropics. 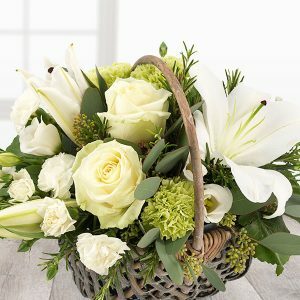 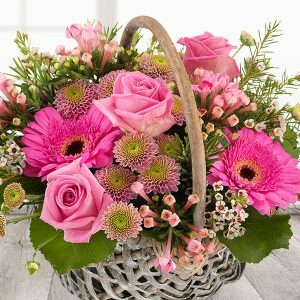 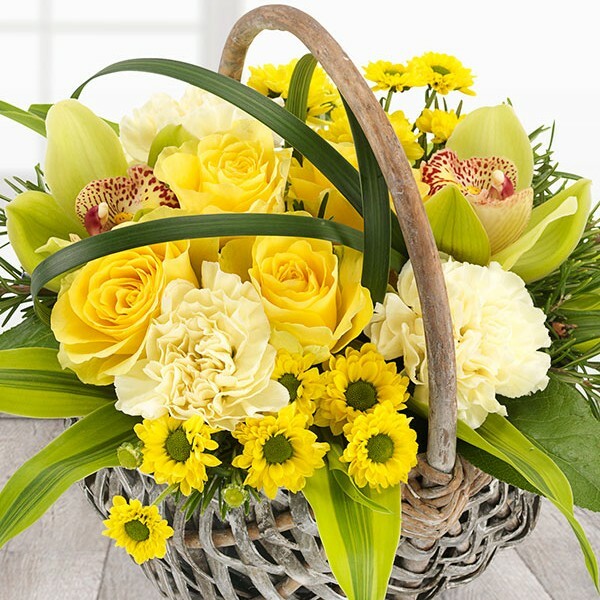 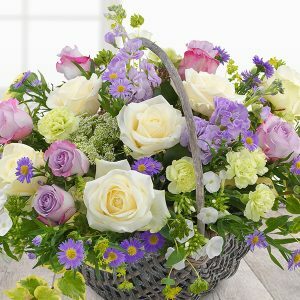 Green Cymbidium Orchids, yellow Roses and Spray Chrysanthemums mixed with cream Carnations, a dash of Rosemary and a flourish of Lily Grass in a wicker basket. 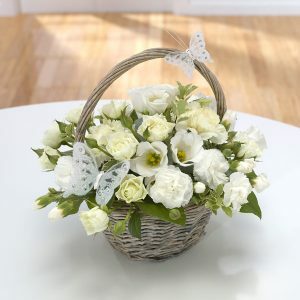 When Orchids are unavailable a substitution will apply.